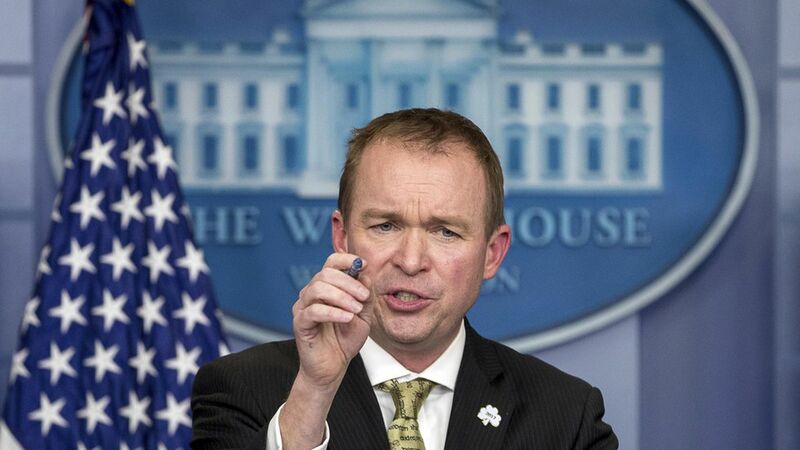 OMB Director Mick Mulvaney briefed reporters Monday on the spending bill to fund the government through September, saying, "it's great that the Democrats like the bill" and it's also "a really good deal" for the administration. Wins: "We got more money for defense, more money for border security, more money for school choice." On why border wall funding isn't in it: It's "almost impossible to get the bricks and mortar on the ground" in five months. When asked how that will change when the next spending bill comes around, he said, "a lot can happen in five months." On why defunding Planned Parenthood isn't in it: Mulvaney said since it isn't in this spending bill, pro-lifers on and off the Hill are refocusing their efforts to defund Planned Parenthood in the health care bill, which could get a vote this week.